Sandestin Beach and Golf Resort is an Emerald Coast destination resort with a vacation atmosphere that lasts 365 days a year. The 2,400 acre paradise offers seven miles of beautiful white sand beaches, sparkling water and activities for all ages. It’s a dream location for a brief vacation escape or a lifetime of laid back beachfront living. Sandestin can give you the beachfront lifestyle of your choice. You can spend sunny days ankle deep in white sand and warm Emerald Coast waters. If you prefer an active lifestyle Sandestin is for you with four championship golf courses, 15 tennis courts, 19 pools, a marina, and many other activities that will keep you moving from sunrise to sunset. 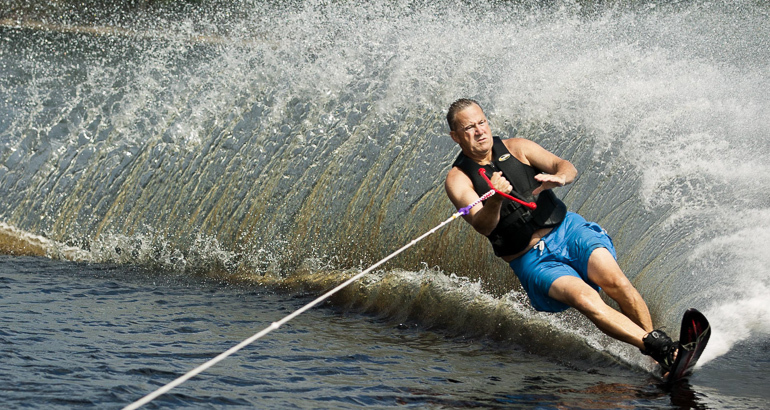 Since the resort’s waterfront is split between the Gulf of Mexico and the Choctawhatchee Bay there is endless opportunity for boating, fishing, kayaking, jet-skiing and more. If you need to house your boat, there is also ample space to do so at the marina. Your youngest family members will enjoy local themed play areas, nature trails, junior golf and tennis programs, and more. Club KZ encourages younger Sandestin residents to explore their natural surroundings. Teens can hang out with friends at Baytowne Wharf or the Grand Boulevard where there are endless activities for everyone. Whether you prefer a beachfront condominium, townhome, or a secluded villa, you’ll find a plethora of choices in Sandestin’s 30 village neighborhoods. Every residence is close to the beach, bay or golf course, and surrounded by natural Floridian landscaping. You can make your Sandestin residence your full time home, vacation spot or offer it as a resort rental. Local management companies will work with you to market and maintain your property in your absence. Burnt Pine Golf Club: One of Sandestin’s most prestigious communities, Burnt Pine stands out as a fantastic place to call home. An award winning golf course plays a central role in this community with extensive water views of Choctawhatchee Bay. This gated community is divided into individual neighborhoods and features luxury homes throughout. Island Green: Island Green is centered around a golf course, boasts a beach and marina, along with endless potential to fish, boat and enjoy the community’s extensive amenities. The Village of Baytowne Wharf: Inside the gates of the Sandestin Golf and Beach Resort, The Village of Baytowne Wharf has everything you could ever need. Quaint shops, dining, galleries, nightlife and continuous events keep residents busy all year round. If you choose a condo in The Village, you are sure to have endless activity in a walkable distance to your property. You’ll be spellbound by Sandestin’s gorgeous ocean views and clear Gulf waters; but it’s not just about the beach. Once you break away from your beach lover’s fantasy, you’ll find plenty of activities to keep you busy. Here are just a few. Fun for all Ages: Sandestin has entertainment options that can bring your family together or allow your children do their own thing in a fun and safe environment. You can enjoy golfing, tennis, and beachfront activities with or without your children. You can slip away for golf outing or a luxury spa day while your children set off on their own resort adventures. 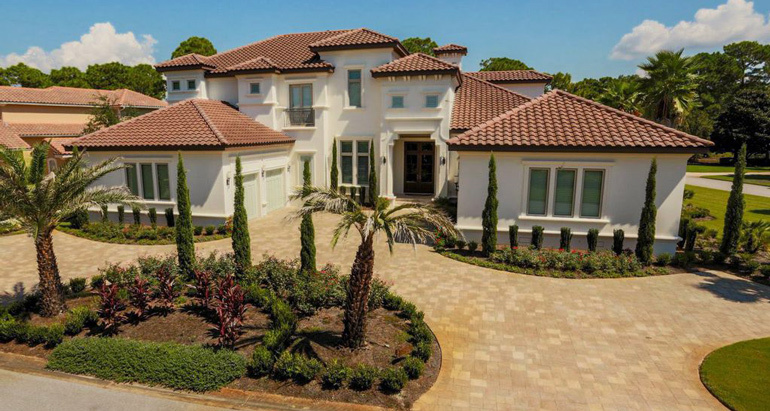 Beachfront Vacations: Whether your dream vacation includes easy access to a white sand beach and warm ocean breezes, or golfing during the mild winter seasons, Sandestin can make it a reality. Private rentals can place you mere feet away from your beach fantasy. If you prefer the amenities that only a hotel can offer, the Sandestin Hilton is waiting at the ocean’s edge to fill your desires down to the last detail. The Village of Baytowne Wharf: This entertainment complex sits at the edge of the Choctawhatchee Bay. Imagine a village square that combines eclectic dining, shopping, strolling entertainers, arcade games, late night cocktails, live music, special events, and even fireworks in a tropical atmosphere. You’ll have a colorful preview of the unique style of entertainment at the Village of Baytowne Wharf. It’s no secret that Sandestin is one of the finest golf and beach resorts in America. It’s been recognized annually by Forbes, Golf Weekly, Golf Magazine, USA Today, and many other travel, golf, and lifestyle publications as a fantastic beach destination. There are 4 golf courses and beyond those courses is an endless list of beach and water activities beginning with boating, fishing, swimming, snorkeling and more. The Sandestin Golf and Beach Resort lifestyle offers you an opportunity to escape the fast pace of big city living and settle into your own little piece of paradise. 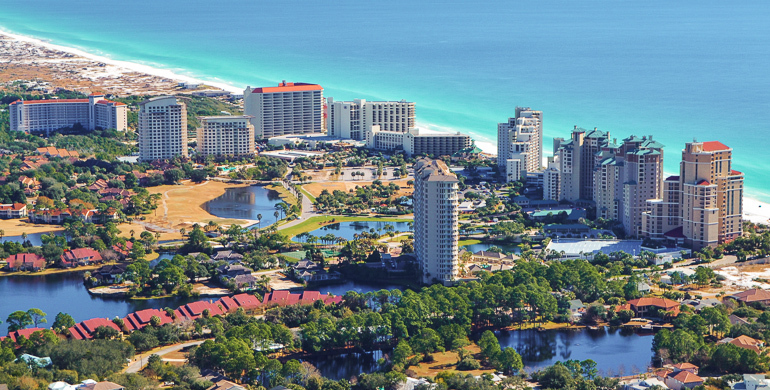 The perfect spot between Destin and Scenic 30A, Sandestin is situated in the middle of it all. The community is large, but still neighborly. In terms of Florida vacation spots, this locale truly has it all with the privacy of a gated community coupled with accessibility to great restaurants, shopping and amenities.